Tuesday & Thursday 10:00am - 2:00p.m. Dr. Denise Danna is an adjunct faculty member and the Director of Academic-Practice Partnership at Louisiana State University Health Sciences Center School of Nursing. She received a Bachelor of Science in Nursing from Louisiana State University Medical Center and a Master of Nursing and Doctor of Nursing Science from Louisiana State University Health Sciences Center. Dr. Danna is certified as a Nurse Educator by the National League of Nursing and an Advanced Nurse Executive by the American Nurses Credentialing Center. She is also certified in healthcare management by the American College of Healthcare Executives. She is a Fellow of the American College of Healthcare Executives. Dr. Danna serves as a course faculty member in the Executive Nurse Leader track of the Doctor of Nursing Practice program at LSUHSC School of Nursing. She serves as the Chief Nursing Officer at Interim LSU Hospital. 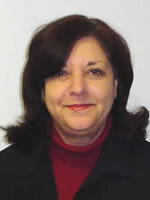 Dr. Danna has extensive experience in nursing administration and leadership. She has served as President of the Louisiana State Nurses Association and held leadership positions in the New Orleans District Nurses Association and Epsilon Nu’s Chapter of Sigma Theta Tau International Honor Society of Nursing. Dr. Danna was inducted into the Louisiana Nurses Foundation Hall of Fame in 2014. Some of her numerous awards include: The PROSE American Publishers Award for Professional Scholarly Excellence and the American Journal of Nursing Book of the Year award for Nursing in the Storm - Voices from Hurricane Katrina; the Chief Nursing Officer Circle of Excellence Award and the Outstanding Chief Nursing Officer award from Tenet; and the National Organization of Nurse Executives Leadership Award for Organizational Innovation. She was named an honorary member of the Louisiana Association of Student Nurses for outstanding leadership in 2010. Her research interests include leadership, management, disasters, and cultural competency.